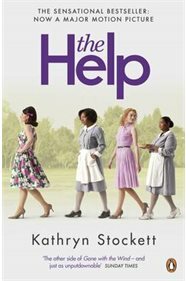 "The Help is the phenomenal international bestseller (that inspired the Oscar nominated film) by Kathryn Stockett. Enter a vanished and unjust world: Jackson, Mississippi, 1962. Where black maids raise white children, but aren't trusted not to steal the silver . . . There's Aibileen, raising her seventeenth white child and nursing the hurt caused by her own son's tragic death; Minny, whose cooking is nearly as sassy as her tongue; and white Miss Skeeter, home from College, who wants to know why her beloved maid has disappeared. Skeeter, Aibileen and Minny. No one would believe they'd be friends; fewer still would tolerate it. But as each woman finds the courage to cross boundaries, they come to depend and rely upon one another. Each is in a search of a truth. And together they have an extraordinary story to tell... 'The other side of Gone with the Wind - and just as unputdownable' The Sunday Times 'A big, warm girlfriend of a book' The Times 'Harper Lee's classic novel To Kill a Mockingbird has changed lives. It's direct descendent The Help has the same potential . . . an astonishing feat of accomplishment' Daily Express Kathryn Stockett was born and raised in Jackson, Mississippi. After graduating from the University of Alabama, she moved to New York City, where she worked in magazine publishing and marketing for nine years. She currently lives in Atlanta with her husband and daughter. The Help is her first novel."